Choices, choices, choices. That’s what you’re faced with if you are in the market for a 4-door sedan. In the realm of automotive diversity, it’s the leader of the pack. Finding the best option is like searching through the discount movie bin at Wal-Mart; it may take a while. Knowing what you are looking for is the easy part, finding it usually takes time and an inexhaustible amount of patience. So, to help you save a little of both, we’ve researched the 2011 models through top automotive reviewers at Car and Driver, Consumer Reports, Edmunds, and Motor Trend to bring you the best 4-door sedans of 2011 in the following categories. 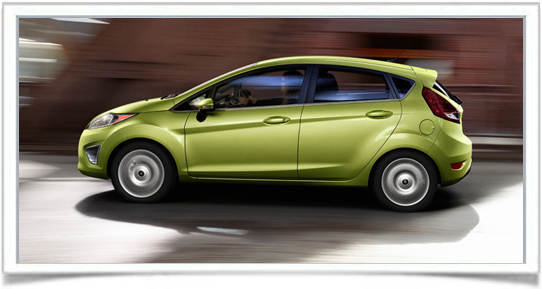 The Fiesta is the new poster child for a reliable, economy sedan. It boasts one of the top fuel efficiencies in a non-hybrid vehicle at 30/40 mpg (city/highway), has a cabin befitting a vehicle in a much higher price range, and scored an overall four out of five stars in the government’s new stricter crash tests. The steering is evenly weighted and suspension tuning is right on par with keeping bumps unfelt. For parents looking for the perfect graduation present, this may be a good fit. The Optima has become the sniper of the midsize sedan class. For a long time it went unnoticed. Now, it has fired its shot and consumers are starting to take notice that it’s there. Its previously bland performance and styling left it as a bottom-of-the-lister for drivers. Then, seemingly out of nowhere, the Optima came with better handling, a comfortable, spacious cabin, and a tremendous fuel economy of 24/34 mpg. Its build quality and reliability have both improved. It hasn’t gone from high-school dance wallflower to queen of the prom yet, but it’s definitely on the court. The Taurus is one of the old guards refusing to give up its post. That’s turning out to be a very good thing. 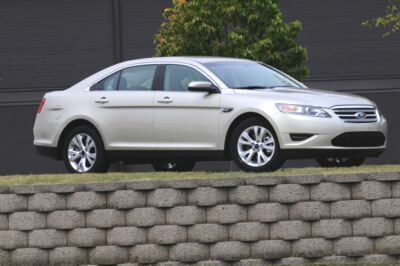 While other vehicles have become more compact, the Taurus has maintained its cavernous 20.1 cubic-foot trunk, spaciously comfortable cabin, and smooth quiet ride to cement its position as a classic full-size American sedan. Options are plentiful with the Taurus, with full-loaded bringing it to the brink of luxury; they are, unfortunately, incredibly pricy. The Mercedes-Benz E-Class is one of the most popular luxury sedans among drivers, but your best option here is definitely the BMW 7 Series. It features all the luxury and elegance of the E-Class, but with a sticker price of $20K less. 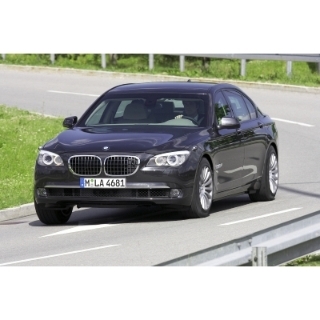 Making the 7 Series even more intriguing is the addition of a third engine option for 2011. The 760Li gets a twin-turbo 6.0L V12 which pushes 535 horsepower and 550 lb-ft. of torque. It does push the price well past the six-figure mark, however. Still, even with the base engine, driving a 7 Series should be a must for everyone’s bucket list. A 6.2L V8. Sound good? How about 551 horsepower and 551 lb-ft. of torque? Not enough? How about zero to 60 mph in just 4.3 seconds. Still not satisfied? How about stuffing it all into a luxury four-door sedan that weighs 4,300 pounds and can ride smooth enough to put a baby with diaper rash right to sleep? Throw in a bevy of technological options, a 13.6 cubic-foot trunk, and an overall four-star award winner in the NHTSA’s new crash safety tests, and you’ve got the 2011 Cadillac CTS-V – a sports coupe trapped in a four-door body. There may be no other vehicle available that possesses a little bit of the best of everything like the Genesis does. It is Hyundai’s entry-level luxury sedan but it provides much more than its $33K price tag would suggest. Engine power is on par with premium luxury brands, and the drive remains tremendously quiet thanks to improved insulation. Both front and rear seats envelop the driver and passengers in a cushiony blanket, and the electroluminescent gauges are Lexus-like in their appearance. 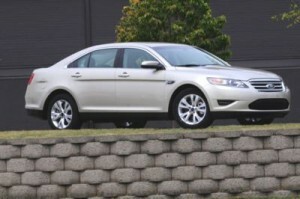 Both engines offer a respectable fuel efficiency at 18/27 mpg for the V6 and 17/25 mpg for the V8, as well.